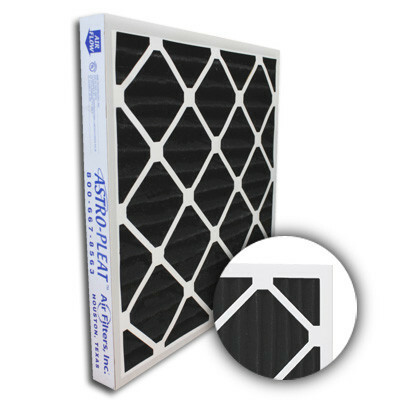 14x25x2 Astro-Sorb Activated Carbon AC / Furnace Filter | Air Filters, Inc.
Astro-Pleat™ Astro-Sorb™ activated carbon 2-inch air filters are a combination of granular activated carbon (Removing gases and odor's) thermally bonded to the polyester non-woven fibers (MERV 6 rated for Arrestance of 85% and Dust Efficiency 35%) that offers maximum carbon surface area, consistent carbon distribution with minimal pressure loss. 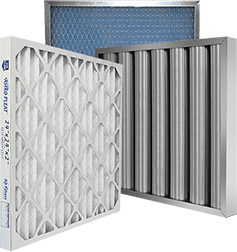 Activated carbon air filters provides high filtration performance with a low-pressure drop for energy efficiency and utilizes 100% synthetic fibers, high initial efficiency, no chemical binders, and does not absorb moisture. 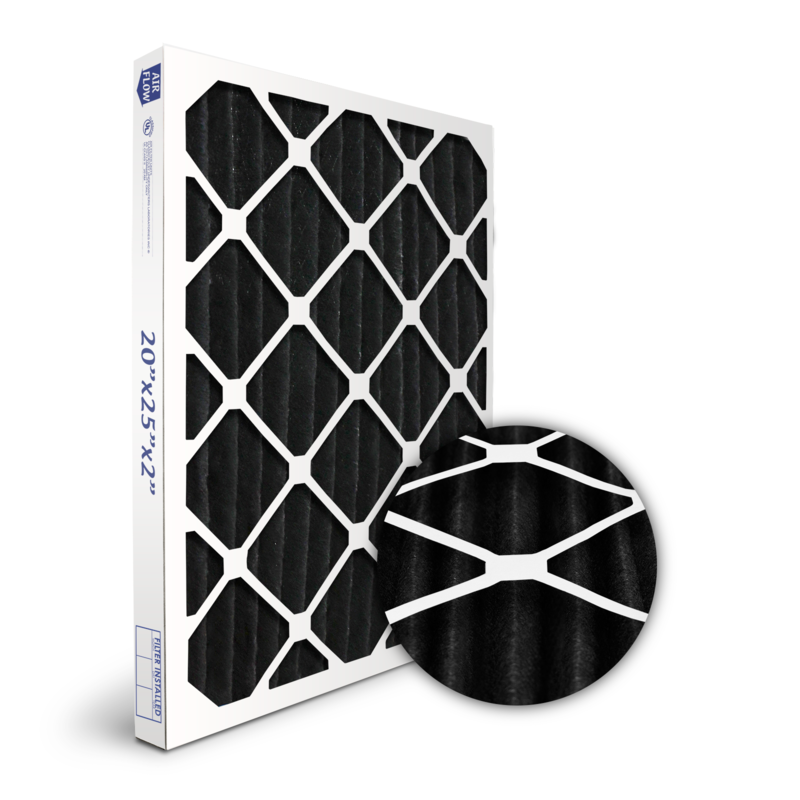 Astro-Pleat™ Astro-Sorb™ activated carbon 2-inch pleated air filter media is supported with expanded metal backing and is encapsulated in a heavy duty die cut beverage board frame to insure filter integrity in high moisture applications. The pleated filter cartridge is glued to the peripheral interior of the outer frame with a vinyl adhesive, preventing air by-pass.